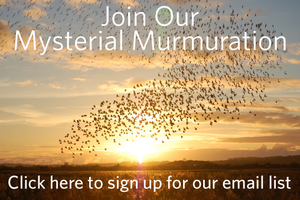 What does it mean to join a Mysterial Murmuration? I believe that it begins with acknowledging the potency of a co-creative, catalytic, collective field in the accelerating our own growth and development. There is an important Feminine principle in here - we NEED each other! You, and the others who expressed interest in learning and living in the Way of the Mysterial Woman, have stepped into a curiosity about your Mysterial emergence; together we are beginning to form a kind of energetic beacon which will draw the other women toward us. You may have seen on my website that I have a vision of thousands of women around the world moving together with beautiful synchrony in a Mysterial Murmuration. Perhaps you have seen starlings flocking together in one of nature's most impressive displays of synergy—hundreds of birds moving as one as they dip and dive in a vast self-organizing system. Before the large flock ignites there are just a few birds who begin to sense the movement and join together… and then their movement together becomes an attractive force that draws in other birds until there is a tipping point. At the tipping point, birds from all around are compelled into the fluid collective dance! At this point in the forming of the murmuration there will not be hundreds or thousands of women... that isn’t how it happens. 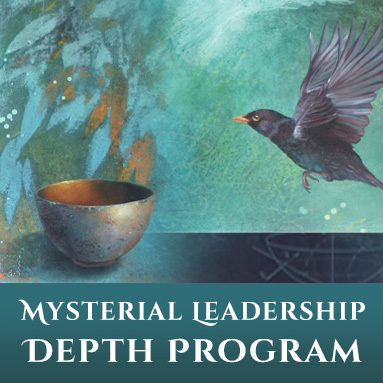 One of the reasons that I put myself on the steep learning curve to offer online programs was so that Mysterial Leadership could scale and be global. I sense this movement needs to be seeded by women from many different places in the world. The evolutionary momentum is urging us to grow into our Mysterial potential now; while we need to grow individually, we do not need to do it alone. In fact in my experience it is the collective updraft that truly accelerates the process of transformation. I invite you to watch the brief video above of how a murmuration forms and moves together - allow the elegance and harmony of the movement to touch your heart. 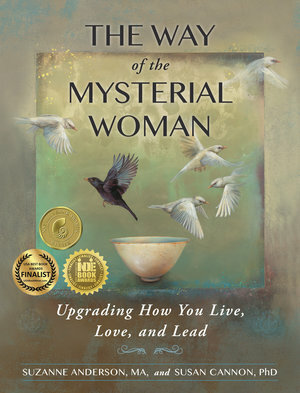 Then with the feeling of the murmuration in your body let yourself energetically connect with the women who are with you in our circle already and then tune into the other women who are moving toward us… they may not know it yet. And of course if there are women in your own network whom you think would be ready to take flight with us please send them an invitation explore the website and offerings. You can click the 'Share' button below for easy sharing with others!